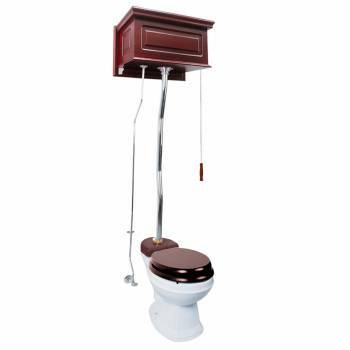 This high tank toilet from Renovator's supply is that is sure to add a charming touch to your home. The tank is constructed from Cherry Hardwood and sits square against the wall for convenient installation. Renovator's Supply hardwood is sourced from high quality suppliers, so we can promise strength and beauty for years to come. The tank features The white ceramic round bowl is designed for comfort and convenience and is connected to the tank with a chrome Z-Pipe. 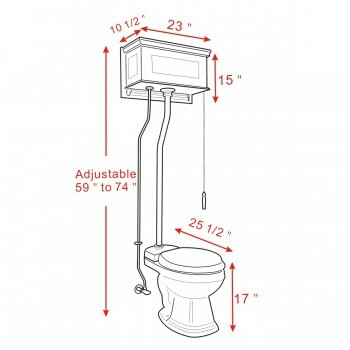 High tank toilets are great for their efficient, gravity-driven flush, ease of use and unique, eye catching design. 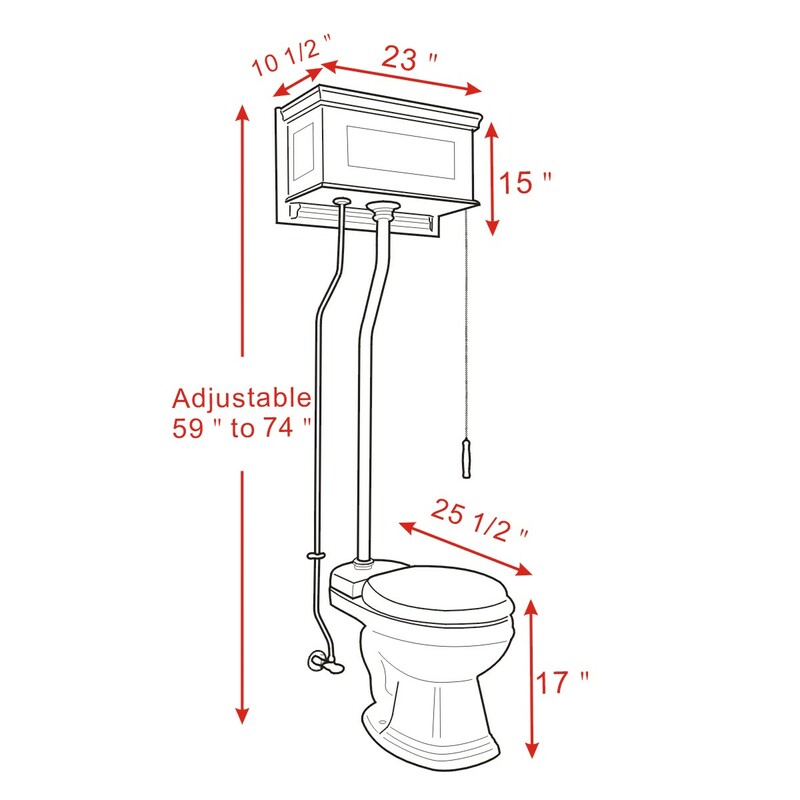 Renovator's Supply stocks replacement parts and repair kits for all of our toilets, so even if something goes wrong we've got you covered. Seat not included. Wooden Toilet Seat Not Included, Sold Separately.